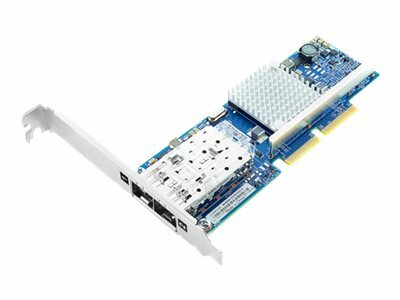 The Broadcom NetXtreme II Dual Port 10GBase-T Adapter for IBM System x is a part of IBM's comprehensive networking portfolio of 10 GbE PCIe NIC adapters and delivers industry-leading performance and scalability per watt, reducing requirements for power and cooling. Protocol offloads enable efficient use of computing resources, support more virtual machines (VM) per CPU, and reduce the number of servers required to support data center demands. This high-performance, dual-port network adapter for 10 Gbps Ethernet (10 GbE) networks with protocol offloads enables maximum bandwidth with minimum use of CPU resources to realize a higher level of performance.